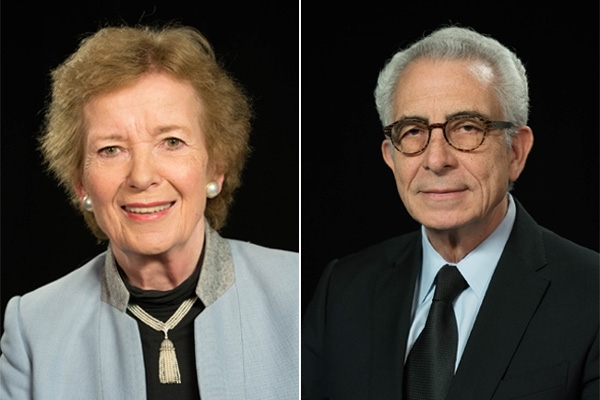 Writing in Quartz, Mary Robinson and Ernesto Zedillo explain the importance of access to justice and the rule of law as an equalising force, enabling the world to meet the Sustainable Development Goals. They call on leaders to show political will to make it a reality. "In far too many countries, from The Philippines and Cambodia to Russia and Turkey and beyond, civic space is shrinking, justice is one-sided and peace is dangerously fragile." From the Magna Carta to the Universal Declaration of Human Rights, legal texts offer a protection of human rights and freedoms, which is why they are themselves frequently the targets of dictators and tyrants. But failure to deliver equal access to justice is also a rebuke to democratic leaders, who have not given sufficient attention, priority or investment to the issue. Securing justice and the freedoms it underpins must be a collective, inclusive endeavour for governments and all sections of society - especially women, minorities and other marginalised groups. All citizens must have access to its instruments and institutions; allowing access to justice to remain the preserve of a privileged elite will continue to erode rights, debase shared values and weaken freedoms. Ten years ago, the 2008 report of the Commission for Legal Empowerment of the Poor identified 4 billion people as lacking access to justice. Progress has been disappointingly marginal since then. If people cannot defend their rights, property or livelihoods against unscrupulous individuals and institutions, they risk losing trust in the whole system of governance and falling prey to the siren songs of populist demagoguery. We are writing as members of The Elders, the group of independent former leaders founded by Nelson Mandela to work for peace and human rights. 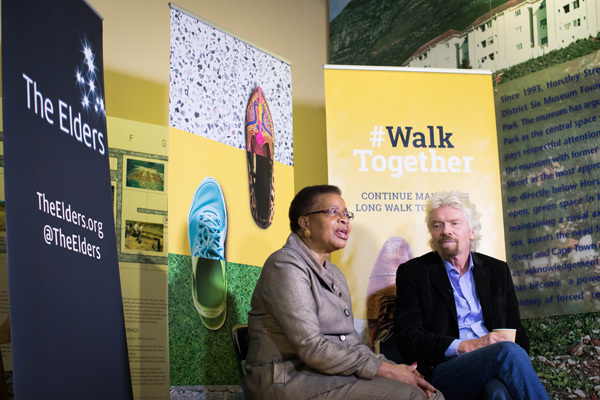 To celebrate our tenth anniversary, we launched last year a campaign called "Walk Together" to support brave activists working for justice, equality, peace and health, who are carrying Mandela's legacy to future generations. This is why we are delighted to support the Grassroots Justice Prize organised by Namati and the Global Legal Empowerment Network. Hundreds of activists are gathering this week in Buenos Aires for the award ceremony at which the winners of the Prize will be honoured. People in Latin America know through bitter experience that when democratic rules are ignored, judicial independence is crushed and the rule of law is accessible only to those who can afford it, the people who suffer most are those who can least afford to lose. According to most recent UN Human Development report from 2013-14, one in every three Latin Americans reported being a victim of violent crime, and five out of ten perceive that security in their country has deteriorated. The inability or unwillingness of authorities to protect citizens against violent crime and uphold the rule of law is a grave injustice in itself. On the positive side, the World Justice Project's 2016 Rule of Law Index showed that Argentina has made encouraging progress in regards to constraints on government powers. As chair of the G20 group of leading industrial powers, Argentina now has an opportunity to drive the wider justice agenda in and implement the recommendations of the 2008 Commission. Under the Sustainable Development Goals, all governments are committed to delivering equal access to justice for all by 2030. Goal 16 offers a blueprint for peaceful, just and inclusive societies but this can only be achieved by visible political will, action and commitment to financing. In far too many countries, from The Philippines and Cambodia to Russia and Turkey and beyond, civic space is shrinking, justice is one-sided and peace is dangerously fragile. Two thirds of grassroots justice defenders responding to a 2017 Global Legal Empowerment Network survey said they found it difficult to carry out their work in communities. Over half said the political environment in their country had worsened over the previous year. Such a situation is unacceptable and unsustainable if the world is serious about meeting the SDGs and securing a peaceful, stable and prosperous planet for future generations. The establishment of robust, accessible judicial institutions can spell the difference between vulnerability and security, desperation and dignity, oppression and empowerment for hundreds of millions of people. In the words of Archbishop Desmond Tutu, the first Chair of The Elders: "Strengthening the rule of law is an essential ingredient to enhance justice, peace and economic and social progress." For this to happen, leaders must show the necessary political will - and ordinary citizens must join together to hold them to account. 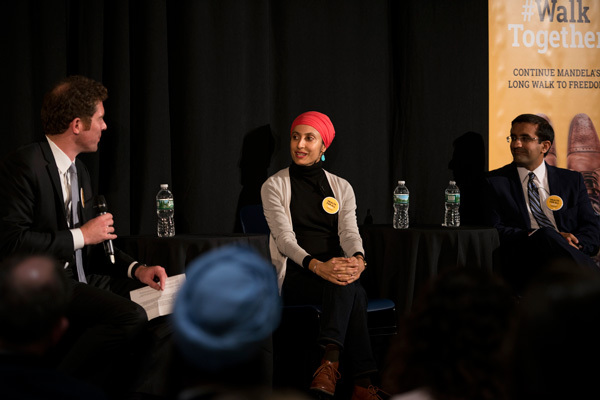 We have seen inspirational examples in the past year, from India's "barefoot lawyers" taking on industrial conglomerates over environmental pollution, to activists and judges in the United States who challenged President Trump's Executive Order banning migration from Muslim countries. This spirit must be maintained in the year ahead at every level of public life. 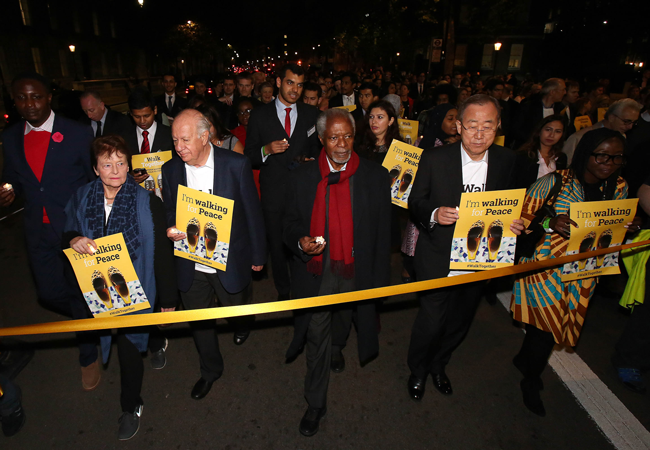 The legacy of great global icons for peace and justice, including Nelson Mandela and other ethical leaders like Mahatma Gandhi, who began life as community lawyers, shows that justice can and must prevail. As we walk together for justice for all, let us all be inspired by the enduring words of Madiba: "Those who conduct themselves with morality, integrity and consistency need not fear the forces of inhumanity and cruelty."